Samsung Electronics Philippines Corporation (SEPCO), one of the country’s leaders in digital media and digital convergence technologies, recently launched their 2012 Digital Imaging product line-up. Leading the featured 2012 line-up is the new Samsung SMART Camera WB150F which was officially introduced by Ariel Arias, Samsung Business Unit Head for the AV group. The Samsung SMART Camera WB150F, the newest member of the WB line-up, enhances the advanced optical zoom and image quality that the WB line of cameras are known for. Housed in a compact, lightweight and durable body, Samsung’s 14.2 megapixels means that even the smallest details will be reproduced with professional quality. Also, the 24mm ultra-wide lens and 18x optical zoom ensure you capture exactly what you want in the frame. Whether you’re shooting stills or recording 720p HD video – the WB150F lets you relive memories perfectly. Besides the advanced optical zoom and image quality that the WB range is known for, the Wi-Fi capability of the Samsung WB150F enhances and facilitates the sharing and saving of images – wherever you may be in the world. Whether indoors or outside, up close or far away – with the Samsung WB150F, you’re always ready to capture life’s special moments as they happen, so you can treasure them forever. With the new Samsung Smart Camera, Samsung aims to deliver powerful optical performance and to revolutionize the compact camera industry with the addition of a built-in Wi-Fi technology to make sharing and saving of photos more convenient. Creating clear and crisp memories and sharing them with loved ones have now become a breeze with Samsung’s latest offering. Shoot Wow, Share Now with the Samsung Smart Camera WB150F. For Php11,990, Samsung SMART Camera WB150F got features (18x zoom and full manual controls) that people will enjoy tinkering with – including wifi. Not that bad! It is more affordable compared to other compact camera. Now, you can have extra budget for other Samsung cell phone accessories. 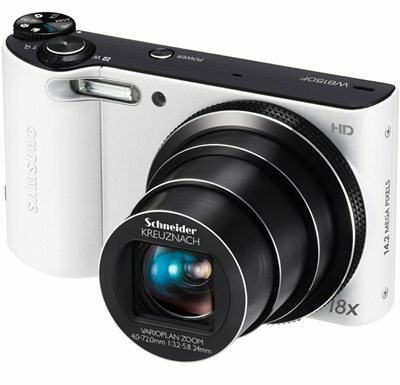 The Samsung SMART Camera WB150F is now available nationwide! Previous Post: « Hair-raising songs and stories loom TV5’s Kanta Pilipinas auditions!! !